HCM CITY — Lê Công Kiều Street in HCM City’s District 1 is home to more than 30 shops selling only antiques dating back hundreds and even thousands of years, besides replicas, fake antiques and old items attached to many people’s childhoods. 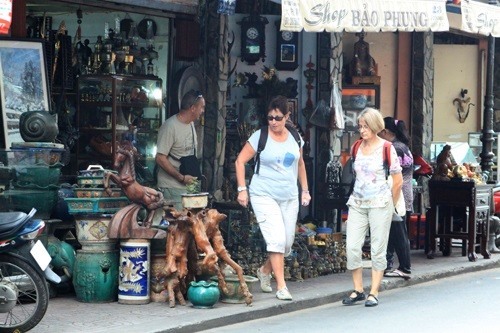 The old street has become a popular haunt for antique collectors and enthusiasts, including foreign tourists, who come to browse for items like ceramics, wooden tables, lacquer paintings, Buddhist idols or seek hands-on knowledge of Vietnam’s cultural and historical heritages. According to antique shop owners on the street, huge numbers of foreign visitors come but only a few actually buy old items while others just visit and take photos. Most of the shops are open from 9am to 5pm.